The ITI Seminar Series is held regularly during the academic year. The series presents speakers from both within and outside the University covering all aspects of information trust and the application areas that ITI makes trustworthy. During the academic year, it is typically held on Tuesdays (this may vary; check the calendar or individual seminar announcements for information on each seminar). 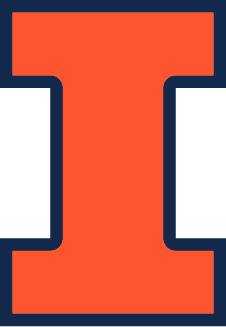 For requests for speakers and information, or if you have questions or problems regarding any of the below video recordings, write to iti-info@illinois.edu. Sign up for Seminar Announcements! University of Illinois at Urbana-Champaign "TBD"
Illinois Institute of Technology "Classifying Malware Represented as Control Flow Graphs using Deep Graph Convolutional Neural Network"
Illinois Commerce Commission "Business, People & Regulatory Considerations in Cybersecurity and Risk Management: Predicting Viability of Innovative"
University of Illinois at Urbana-Champaign "Extensions of Network Reliability Analysis "
"Power Grid Outages in FEMA Region X: Causes, Impacts, and Mitigation"
University of Illinois at Urbana-Champaign "Intrusion Detection and Prevention Systems: An IT/OT Perspective"
"Safety and Security Assurance in Autonomous Cyber-Physical Systems"
RAND Corporation "Regulating Complex Critical Infrastructure Risks: Evidence From the Electric Grid Cybersecurity Standards"
Schweitzer Engineering Laboratories "Challenges and Opportunities for Cryptography in Energy Delivery Systems"
Electric Power Research Institute (EPRI) "Cyber Security Roadmap and Research Challenge"
University of Illinois at Urbana-Champaign "Multi-Receiver GPS Spoofing Detection for PMU Timing Verification using a Hybrid Communications Network"
Old Dominion University "Cyber Risk Scoring and Mitigation for Resilient Cyber Infrastructure"
Energy Systems Integration "Modernizing the Electric Grid: Enhancing Resiliency and Cybersecurity"
Georgia Institute of Technology "Mapping Infrastructure Interdependencies: Why It Matters and What It Can be Used For"
Rochester Institute of Technology "Deep Fingerprinting: Undermining Website Fingerprinting Defenses with Deep Learning"
Heartland Science & Technology "The Cyber Secure Dashboard - Institutionalizing Cyber Security Using the NIST Framework"
"Measuring the Cost Effectiveness of Static Economic Resilience"
Lawrence Livermore National Laboratory "LLNL’S Cyber and Infrastructure Resilience Program"
New York University "Dynamic Resiliency Modeling and Planning for Interdependent Critical Infrastructures"
Washington University in Saint Louis "Adversarial AI for Social Good"
Howard University "Resilience in Automotive Intrusion Detection Systems"
University of Texas at El Paso (UTEP) "Impact Assessment of Hydro-Meteorological Events on Texas Pavements and Development of Resiliency Strategy"
Technical University of Applied Sciences (TUAS) "Information Security Awareness"
RS21 "Visualizing Complexity: Data is Useless, Wisdom is Priceless"
Binghamton University "LEFT: A Testbed for Assessing Resiliency of LTE Mobile Communication Systems"
Dragos, Inc. "Industrial Cyber Threats and Future Planning: Where We're Going We Don't Need Roads"
Argonne National Lab "A Resilient Self-Healing Cyber Security Framework for Power Grid"
"Assessment and Measurement of Port Disruptions"
Nicor Gas "IT and OT, Information Security Architectural and Operational Divides in the Energy Sector"
Major General Richard J. Hayes, Jr.
"Cyber Warfare and Critical Infrastructure: Activities of the DoD and National Guard"
University of Illinois at Urbana-Champaign "Cyber Risk Assessment to Empower Cyber Insurance Markets"
ANG Consulting, LLC "Oil and Gas Pipeline Transmission Infrastructure Cybersecurity and Resiliency"
University of Illinois at Urbana-Champaign "The Robots are Coming - for your Food!" "How Anonymous are Cryptocurrencies, Really?" "Cyber-Physical Experimentation Environment for RADICS (CEER): A Look into the Future of Cyber-Physical Experimentation"
"Efficient, Expressive, and Private Information Retrieval via Indexes of Queries"
"Global Measurement of DNS Manipulation"
"Securing Critical Infrastructure From Sensor to Reactor"
"Analyzing Cyberincidents from a Risk Assessment Perspective"
"Optimal Data Rate for State Estimation of Switched Nonlinear Systems"
"IOwe You Credit Networks: Not all permissionless payment solutions require a blockchain"
"Anonymity in Bitcoin Peer-to-Peer Network"
Defending Against Cache-Based Side Channel Attacks"
"What The Secret Service Can Teach Us About Cybersecurity"
"Behavioral Analysis for Cyber Resilience"
"Toward Privacy-Preserving Mobile Utility Apps: A Balance Act"
"Exploring opportunistic execution for integrating security into legacy hard real-time systems"
"Automated Generation of Factor Graphs for Security Attacks Detection"
"Computer Security, Privacy, and User Expectations: Case Studies in Web Tracking and Application Permissions"
"Making Best Practice Common Practice"
"Application of Game Theory to High Assurance Cloud Computing"
"Spy vs Spy: Anonymous Messaging over Networks"
"Preemptive Intrusion Detection--Practical Experience and Detection Framework"
"Who Do I Think You Are? Challenges and Opportunities in Telephony Authentication"
"Intrusion Detection in Enterprise Systems by Combining and Clustering Diverse Monitor Data"
"Hypothesis Testing Framework for Network Security"
"Towards Preserving Mobile Users' Privacy in the Context of Utility Apps"
"Quickest Detection and Isolation of Line Outages in Power Systems"
"Logjam: Diffie-Hellman, Discrete Logs, the NSA, and You"
"User Expectations in Mobile App Security"
"SMT-Based Controller Synthesis for Linear Dynamical Systems with Adversary"
"Accounting for User Behavior in Predictive Cyber Security Models"
"Scalable Data Analytics Pipeline for Real-Time Attack Detection; Design, Validation, and Deployment in a Honeypot Environment"
"Enabling real-world online-service developers to verify their protocol implementations"
"A Hypothesis Testing Framework for Network Security "
"Security-aware Virtual Machine Allocation in the Cloud: A Game Theoretic Approach"
"Evaluating Cyber Moving Target Techniques"
"Dynamic Virtual Machine Monitoring with Hypervisor Probes"
"Nested Kernel: An Operating System Architecture for Intra-Kernel Memory Privilege Separation"
"From Models and Data to Proofs for Improving Cyber-physical Systems"
"From Security Perimeters to Edge Control"
"Continuous Monitoring for Achieving Reliable & Secure Virtual Machines"
"Design and Evaluation of Reliable Software Systems"
"Automated Formal Verification of Distributed Cyber-Physical Systems"
"Network Security Today: Finding Complex Attacks at 100 Gbit/s"
"Towards secure cloud storage: Blind Storage and Dynamic Searchable Encryption"
"Function Private Functional Encryption and Property Preserving Encryption: New definitions and Positive Results"
"Security Issues and DDoS Protection Techniques for Smart Grid AMI (Advanced Metering Infrastructure) Networks"
"Zero Configuration Key Management and Secure Communication for Smart Grids"
"ViaSat: Securing Real-Time Control Systems for Critical Infrastructure"
"Behavior-based Intrusion Detection for Cyber-Physical Systems"
"ITI Testbeds: Enabling Advanced Research For Critical Infrastructure"
"Finding Truth from Multiple Conflicting Sources: A Probabilistic Network-Based Approach"
"Information Privacy and Data Control in Cloud Computing: Consumers, Privacy Preferences, and Market Efficiency"
"Strategic Health IT Advanced Research Projects on Security (SHARPS)"
"Censorship Resistance on the Internet: Strategies and techniques for free and open communication"
"Efficient Randomized Testing Using Rapidly-Exploring Random Trees for Analog Circuits"
"Secure Provision of Patient-Centered Health IT in Public Networks"
"Foundations of Dynamic Access Control"
"Reflections of a Visiting Security Lecturer"
"How Do You Know that a Security Requirements Method Actually Works?" "Verifying Network-Wide Invariants in the Data Plane"
"Truly Random Notes on Computer Security"
"Website Fingerprinting Attacks and Defenses"
"Cyber and Dependability Assessment Challenges for the Nuclear Power Plant Digital Instrumentation and Control Systems"
"Optical DNA v2.0: Making Optical Media Impossible to Counterfeit"
"Security & Privacy Considerations of Implanted Medical Devices"
"Lessons Learned from Large-Scale Data Thefts"
"The Role of Behavioral Sciences in Information Security and Assurance"
"(Ab)using Smartphone Sensors: Attacking and Reining in Privacy"
"Cyber Security from 30,000 Feet: The Benefits of Multidisciplinary Research"
"Confirmation Bias: How to Stop Doing the Things in Security That Don't Work"
"Game-Theoretic Gestaltism on Resilient Cyber-Physical Systems"
"The State and Future of Operating System (OS) Security in Defense and Commercial Markets"
"The Battle for Control of Online Communications"
"Using Human-Computer Symbiosis as a Fraud-Detection Architecture"
"Hardware Intrusion Detection: Today's Challenge for Critical Infrastructure"
"Robust Fingerprinting and its Applications to Content Identification"
"Was Stuxnet an Act of War?" "Tracking a Hacker: The Long Tail of Incident Response"
"The Role Mining Problem: A Formal Perspective"
A recording of the talk is available in multiple formats, including rich media, vodcast, enhanced podcast, and podcast. "HyperCheck: A Hardware-Assisted Integrity Monitor"
"Exploring the Technical and Economic Factors Underlying Internet Scams"
"On the Computational Complexity of Coin Flipping"
"Trust and Protection in the Illinois Browser Operating System"
"Investigation of Triangular Spamming: a Stealthy and Efficient Spamming Technique"
"Advanced Malware Trends and Analysis"
"Overcoming an Untrusted Computing Base: Detecting and Removing Malicious Hardware Automatically"
"Enabling Secure, Policy-Based, Multi-Recipient Data Sharing"
"Ripley: Automatically Securing Web 2.0 Applications Through Replicated Execution"
"The Phish-Market Protocol: Securely Sharing Attack Data Between Competitors"
"Pay-as-You-Drive Applications: Privacy Implications and Possible Solutions"
"Fine-Grained Access Control with Object-Sensitive Roles"
"Attribute-Sets: A Practically Motivated Enhancement to Attribute-Based Encryption"
"Cumulative Attestation Kernels for Embedded Systems"
"Sphinx: A Compact and Provably Secure Mix Format"
A video of the seminar is available. "Advanced Honeypot Architecture for Network Threats Quantification"
"Analyzing Simulation Traces of Stochastic Discrete Event System Models"
"Secure Internet Path Quality Monitoring: Tradeoffs in Security and Efficiency"
"Integrity and Privacy Issues in Advanced Wireless Metering Infrastructure"
"The State of the Art in Anonymized Data Publishing: Algorithms, Complexity, and Deficiency"
"How Deployment Realities Affect Design: A Network Admission Control Case Study"
"Botnet: The Rising Internet Threat and New Detection Techniques"
"The Snooping Dragon: Social-Malware Surveillance of the Tibetan Movement"
"Time Valid One-Time Signature for Time-Critical Multicast Data Authentication"
"Trust: Concepts, Formal Semantics, Quantification, and Application"
Slides from this talk are available. "Towards a Trustworthy Internet Architecture"
"The Case of the Fake Picasso: Preventing History Forgery with Secure Provenance"
"Designing Anonymous Communication Networks with Unstructured Graphs"
"Reconciling Non-malleability with Homomorphic Encryption"
"Design and Implementation of a Flow-level Network Security System"
"AutoISES: Automatically Inferring Security Specifications and Detecting Violations"
"Secure Web Browsing with the OP Web Browser"
"Diversity with Off-the-Shelf Relational Database Management Systems (SQL Servers): Empirical Studies on Dependability and Performance"
"New Developments in Access Control: DKAL, Distributed Knowledge Authorization Language"
"Use of an XML Gateway in Enterprise Security Architectures"
"How Legal Issues Impact Using Commercial Data for Cyber Security R&D"
"Measuring Privacy: A Risk-Based Approach"
"Towards Practical and Secure Decentralized Attribute-Based Authorization Systems"
"Do You Have My Data? Prove It! (Provable Data Possession at Untrusted Stores)"
"Measurement and Analysis of Misconfigured Peer-to-Peer Traffic"
"Tolerating and Correcting Memory Errors in C and C++"
"Scaling Intrusion-Tolerant Replication to Wide-Area Networks"
"Towards Regulatory Compliance in Data Management"
"Trustworthy Management of Compliant Records"
"Providing DoS-Resistance for Authenticated Broadcast in Wireless Sensor Networks"
"Electronic Distribution of Airplane Software and Data"
"From Cells to Networks: Energy Security Through Renewables"
"eSecurity to eAssurance: A New Paradigm Shift"
"Vaccinating Ad Hoc Networks Against Misbehaving Nodes"
"LANs in Aircraft, Including Safety and Security Issues and Initial Acceptance Criteria"
"Rethinking the Operating Systems Protections: Towards a New Security Architecture for Authorization"
"The Compiler's Role in Software Security"
"Secret Handshakes with Dynamic and Fuzzy Matching"
"Reasoning about Security and Privacy"
"Automated Software Vulnerability Remediation and Immunization"
"Two New Solutions to Computer Security Problems"
"Cracking Passwords for Fun and Profit"
"Provably-Secure Hierarchical Key Assignment Schemes"
"Towards HardLANs: Scaling IDS to 1 Gbps and Beyond"
"Safety and Consistency in Policy-Based Authorization Systems"
"Anonymity in Data Publishing and Distribution"
"Privacy Sensitive Location Information Systems in Smart Buildings"
"Aligning Privacy Values, Policies, Law and Software Requirements"
"Clouseau: A Practical IP Spoofing Defense Through Route-Based Filtering"
"Automated Trust Negotiation Using Cryptographic Credentials"
"An Experimental Analysis of Scans and Their Impact on Attacks"
"Automated Web Patrol with Strider HoneyMonkeys: Finding Web Sites That Exploit Browser Vulnerabilities"
"Programming with Explicit Security Policies"
Prior to the creation of the ITI Trust and Security Seminar series in 2005, the Security Seminar series offered talks in this topic area. For information on Spring 2005 Security Seminars, see the Security Seminar home page.